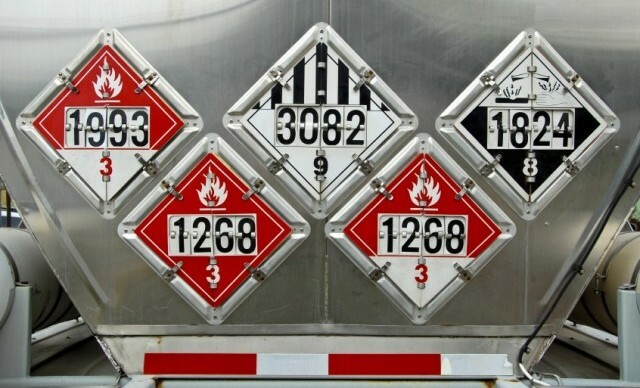 Our 100% online DOT HAZMAT Training: Function Specific – Placarding course is for hazmat employees involved with hazardous materials transportation who need to determine the appropriate placarding for hazmat shipments. This course meets training requirements for 49 CFR 172.704(a)(2)(i). Our online DOT HAZMAT Training: Function Specific – Placarding course is designed for Hazmat employees involved with hazardous materials transportation and the identification, selection, placement, or replacement of Hazmat placards. This course will help workers determine the appropriate placarding when shipping hazardous materials. Some Hazmat employees who may benefit from this training include those involved with shipping, manufacture, or carrying of hazardous materials. This course meets function-specific requirements in 49 CFR 172.704(a)(2)(i). This course provides training on general placarding rules, types, specifications, Placarding Tables, subsidiary hazard placarding, and placarding by mode of transportation. See our Detailed Course Outline for more information. This course provides more in-depth placarding training than is included in our DOT HAZMAT Training: Basic General Awareness (4 Hours) course. This course’s contents are included in full in our DOT HAZMAT Training: General Awareness/Function Specific (10 Hours). Designed by Certified Outreach Trainers, this DOT HAZMAT Placarding course emphasizes your safety and learning through interactive, high quality training. With this course, you can train at your convenience and save your progress as you go. A downloadable / printable student manual is provided as a resource for taking notes and for future reference. Students may take up to 6 months, if desired, to complete the course after enrollment. We offer a 100% Money Back Guarantee* to ensure you are satisfied with the training. Placards | General Rule for Placarding | Proper Display of Placards | Prohibited Placarding | Exceptions | Exempt Materials. Explosives: Divisions 1.1, 1.2, and 1.3. | Explosives: Divisions 1.4, 1.5, and 1.6. | Flammable and Non-flammable Gas | Combustible | Flammable Solid, Spontaneously Combustible, and Dangerous When Wet | Oxidizers and Organic Peroxides | Poison | Radioactive | Corrosive and Class 9 | Dangerous | Placard ID Numbers. Strength and Durability | Design | Form Identification. Placarding Tables 1 and 2 | Division 5.2 Exceptions | Division 6.1 Exceptions | Class 7 Exceptions | Empty Non-Bulk Packaging | Class 1 Exceptions | Division 2.2 | Division 5.1 | Division 6.1 | Class 9 | Dangerous Placard and Exceptions. Subsidiary Hazards | Poison Inhalation | Corrosive Hazard | Dangerous When Wet. Providing and Affixing Placards | Highway | Rail | Freight Containers and Aircraft Load Devices | Special Provisions | Bulk Packaging | Two Sides Placarded. The objective of this DOT HAZMAT Placarding course is to meet the Federal Department of Transportation (DOT) training requirements for 49 CFR 172.704(a)(2)(i). Understand placard design and visibility requirements. This DOT HAZMAT online course consists of 7 sections, which students will complete through our Online Training System (OTS). The course includes interactive quizzes to help ensure students retain important concepts. Please note that this this HAZMAT DOT Placarding course is not meant to replace company-specific or function-specific training provided by your employer on equipment use and procedures for your particular work environment. You must be trained by your employer on the hazards, equipment, engineering and administrative controls, safe work practices and emergency plans specific to your role and workplace. Employers need to evaluate employee needs for additional DOT hazardous material training and training in the use of personal protective equipment used on the job.